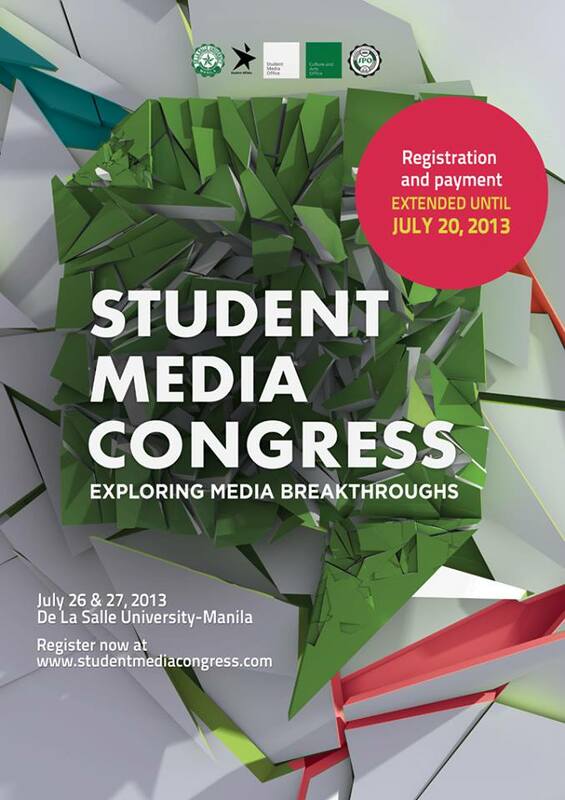 The organizers have extended the deadline to the registration and payment for the Student Media Congress until July 20, 2013 (Saturday). The theme of the event is "Exploring Media Breakthroughs." A thousand delegates can only be accommodated so be one of them! There are limited slots left. Register here. Check out their Facebook Page for more info on the program schedule, list of speakers, partners and sponsors.